Apologies to Samsung. I've talked a lot of smack about its Gear VR headset, from the day we first heard the rumor that "Samsung is getting into virtual reality." It seemed like a disaster in the making—a desperate cash grab that was going to poison the VR well before Oculus even made it to market. Back at E3 I even asked Oculus co-founder Nate Mitchell whether they were worried at all about Samsung, which seems especially ironic in retrospect considering the two companies are partnering up for Gear VR. Samsung has a tendency to be first, you see, regardless of whether or not the implementation is right, and with a nascent technology like virtual reality that could be the difference between "This technology changes everyone's lives" and "Virtual reality goes the same way it did back in the nineties." And then I used Gear VR and my concerns melted away. Most of them, at least. 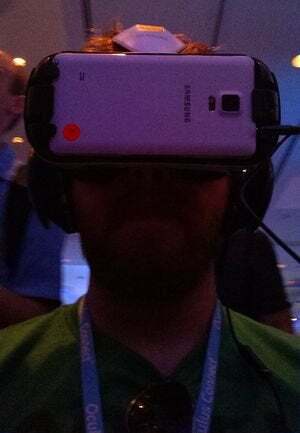 At Oculus Connect this past weekend I spent about ten minutes using Gear VR during a late-night reception, testing out a few demos. 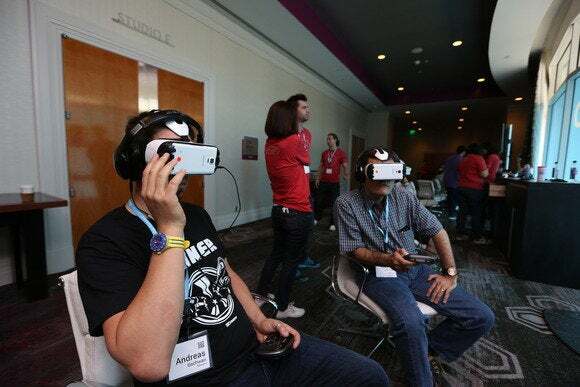 Then I was so impressed I asked Oculus PR to take me back to Gear VR the next day, where I sat and messed around with the headset for another forty minutes. If you've used either of the two Rift development kits (affectionately termedDK1 and DK2), you already know that's a fairly impressive figure. If Samsung's implementation of VR were wrong, I would've lasted five to ten minutes at most before being hit with nausea. It helps that Gear VR is incredibly lightweight. It's basically just a plastic headband with a Galaxy Note 4 phablet strapped to the front, so it feels a lot less cumbersome than the DK2 (though the lighter-feeling Crescent Bay prototype comes close). The Note 4 clicks into the casing with a simple push, and from there it's the same old Rift tradition: Put on Rift, put on headphones, put controller on your lap so you can find it later. That last part is important because Gear VR has one huge feature that I now desperately hope makes it into the consumer Rift model—basic controls mounted on the headset. Using the DK2 Rift is still a cumbersome process. Every time you want to do anything outside the Rift (like launch a new demo), you're forced to pull the headset off and mess around on your PC monitor. 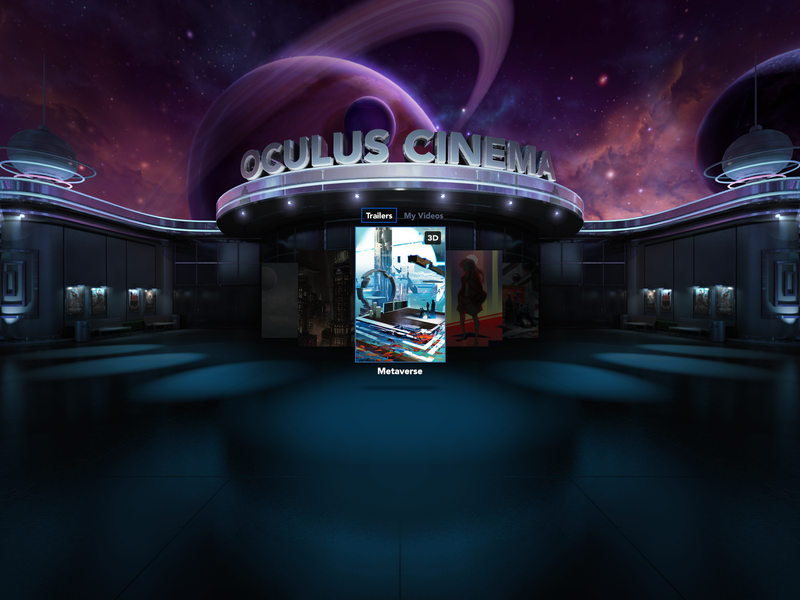 Gear VR also gives us our first glimpse of the integrated Oculus storefront, here called Oculus Home. It's a bunch of live tiles, similar to Microsoft's Xbox One interface. There's a touchpad integrated into the side of Gear VR, and navigation is as simple as swiping left and right on the touchpad, aiming your head at the demo you want to play, and tapping to enter. There's also a button to go back and a rocker for volume controls. It's so easy. DK2 apparently has a bit of this functionality—tapping the side of the headset will shake the sensor in a specific manner and trigger a "confirm" response, but it's far from having full control. As a result, I played maybe ten or fifteen demos on Gear VR without ever taking the headset off or even using the gamepad. That's the future. But what about the demos themselves? I'm a games writer and I went to the Gear VR demo to play games, but surprisingly the thing that stuck with me most was Oculus Cinema. And by stuck with me most I mean "has probably killed movie theaters for me." I've used other movie apps for the DK1 and DK2 and VR Cinema in particular is fantastic. 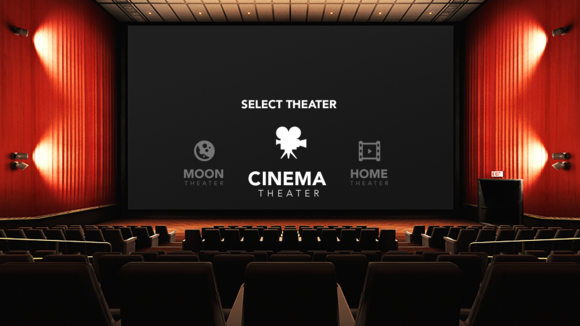 Oculus Cinema takes it to a whole new level. I didn't watch a full film on the device, if only because there were no full films loaded, but I did watch a dozen or so trailers. You can watch films in a standard cinema experience, a home theater, or on the friggin' moon with Earth circling above. All feature dynamic lighting reflections, so you get a sense of these settings being realistic from the way light bounces off the seats or lunar rocks. 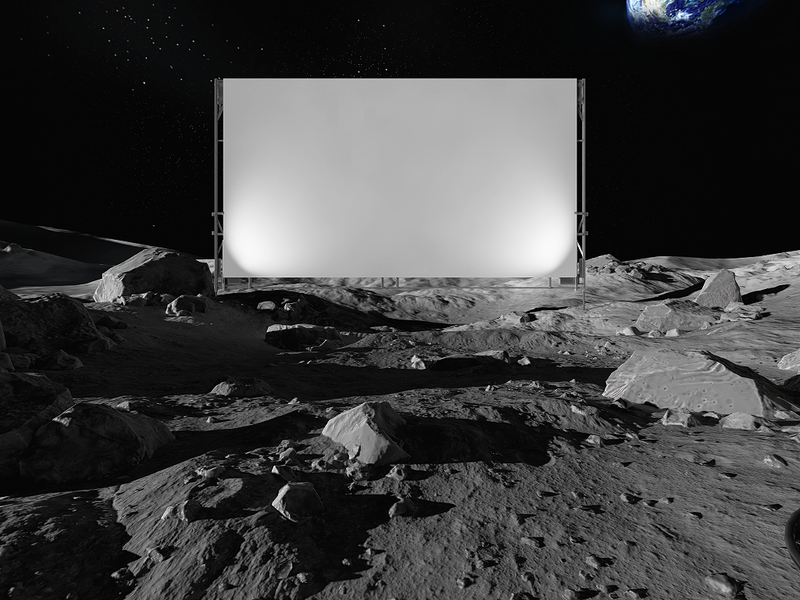 But standard cinema, even in fantastical environments, is just a start. Other demos allowed me to watch films in super-widescreen, as if I were watching a movie stretched across three computer monitors. Another set of demos let me watch films on a full IMAX screen, and because of the Oculus's built-in 3D capabilities I was even able to watch Hubble 3D (which I've seen in a real IMAX theater multiple times) with all its 3D effects preserved. And I did it for free. 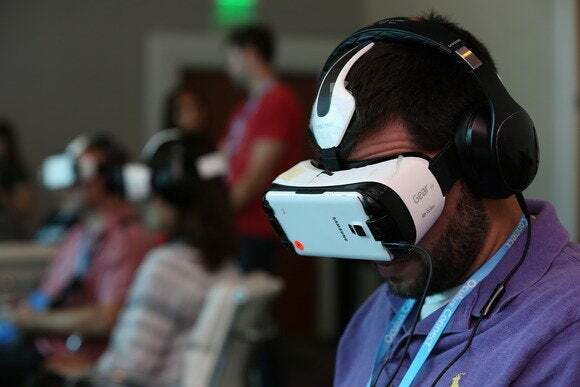 Now, who knows what business model Oculus Cinema will launch with, and how you'll be able to purchase IMAX-quality films, but the Gear VR's 1440 resolution and light weight made it so watching a full film with that device strapped to my face no longer seemed like a fool's errand. I'm excited for a future where I can load up Netflix in my Rift or Gear VR and watch a film like it's in a private movie theater on the moon. That's not to say the rest of the Gear VR demos were bad though. Far from it. Oculus also showed off a repository of 360 degree videos and photos, such as one where I watched a guy play music in his home studio or a brief clip of a circus performance. The latter made me jump when I turned to the left and saw a guy in weird makeup staring right into the camera and waving at me. One demo even put me in the pilot seat of a Pacific Rim Jaeger, where I duked it out with a Kaiju. This. I want to see more of this. The author, taking a selfie while using the Gear VR in a situation with utterly terrible lighting. Moving over to interactive experiences, Harmonix's app stands out. It's less a "game" and more of a music visualizer in full 3D, and that's fine with me. There were five songs included in the demo and I ran through every single one of them, just to see more. The visualizer puts you on a cartoony tropical beach, where every single object moves to the beat; for instance, the waves pulse up and down to the rhythm. Focusing on certain "special objects" then causes them to fill your entire frame of vision, providing a more traditional visualizer experience. The moon, for instance, becomes a pulsing ball that expands and contracts, while the sun becomes a crazy kaleidoscope of colors. There are more environments planned for the full release. Most of the games I played were games I've already tried on the Rift, such as Lucky's Tale, so I won't bother talking much about them. Suffice it to say the Gear VR does just as good a job playing them as the DK2. You won't be seeing a high-end title like Elite: Dangerous on Gear VR anytime soon, but for the low-poly, stylized demos we see quite often on the Rift, Gear VR works great. I shot down planes, I solved part of a locked-room mystery, and I played the arcade classic Breakout in full 3D. All of this went down without a hitch, and not having a cable tethered to the side of your head makes things like "spinning rapidly in circles in a desk chair" a lot less scary. There are still problems though. 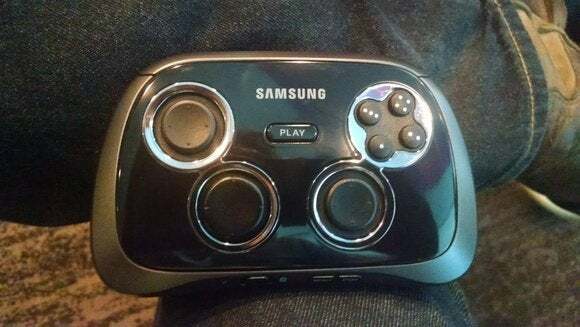 First of all, Samsung's gamepad is a hot piece of garbage. I didn't have to use it much, and thank god for that. It's an awkward shape, not really fitting into my hands comfortably no matter how much I shifted. Instead of analog sticks it uses slidepads that are recessed into the controller, and the D-pad is another circle that halfheartedly tilts slightly to the side when pressed. The Start and Select buttons are placed on the bottom edge, making it all but impossible to hit them; the face buttons are labeled with one to four dots making it impossible to remember which is which; and there are only two triggers instead of the now-standard-for-every-single-gamepad-come-on-Samsung-what-are-you-doing four. Samsung's Gear VR controller is crap. Everything about it. The Gear VR's optics don't seem quite perfect yet, and I noticed some slight warping of the image at certain angles or when turning my head quickly, almost as if the lenses weren't quite adjusted right. John Carmack opened his keynote the other day talking about what he sees as the device's faults, so in fairness I'll list them here: It only refreshes at 60Hz instead of the 90Hz Oculus sees as a baseline, and there's no position tracking. And finally, the Note 4 gets hot when it's acting as the display and processing brains for the Gear VR. How do I know? Because after prolonged usage, the Note 4 pops up a warning talking about how hot it is! That doesn't seem good. Carmack talked during his keynote about how Samsung allows Oculus to effectively run the device at its full processing power for far longer than it would during normal usage, which creates heating problems due to the passive (no fans) cooling of a mobile device. I don't know how long you'd have to run Gear VR for that warning to pop up normally—obviously we were using demo units that were running for at least forty minutes before I ever got my hands on them. Still, it's a bit worrisome to see that warning pop up, and I can't help but wonder how it'll effect the longevity of the Note 4 considering that's not exactly a cheap device. (The unsubsidized cost starts at $826.) I guess we'll have to wait for a review to find out, though. 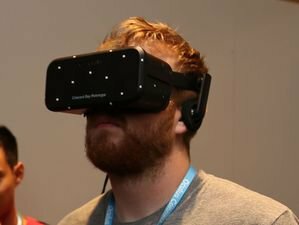 Surprise: Gear VR is good! Far from poisoning the VR well, Samsung's Gear VR might actually be the thing that helps it go mainstream, considering you don't need a fancy PC to run it, you don't need to attach a cable to the side of your head, and you can run many of the most mainstream VR experiences without ever needing to pull it off your face.